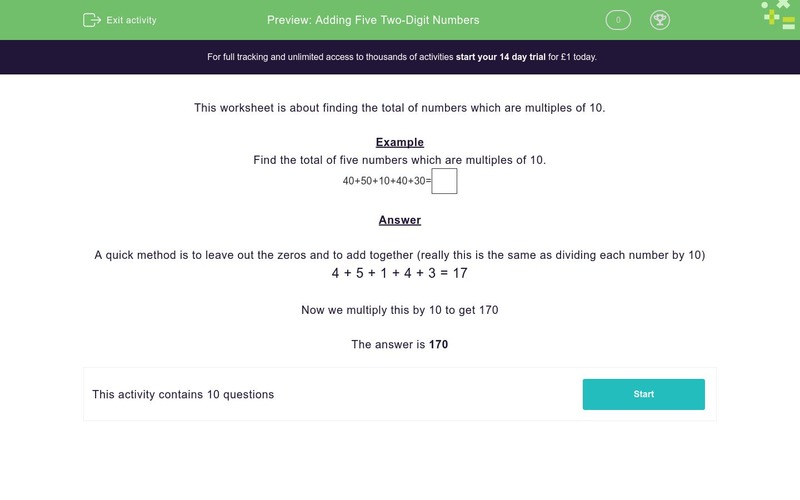 In this worksheet, students add together five two-digit numbers. The numbers are all multiples of 10. This worksheet is about finding the total of numbers which are multiples of 10. Find the total of five numbers which are multiples of 10.